Google is again expanding outside the web pages by developing airborne drones for deliveries. 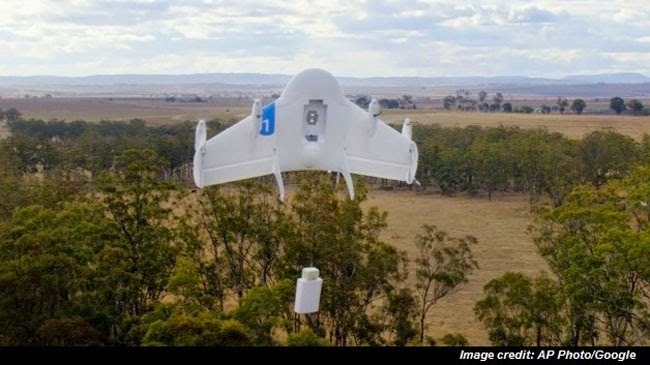 ‘Project Wing’, as Google calls it, can change the way of delivery through self-flying vehicles. On August 28, Google introduced their 1.5-meter wing-spanned white jet and posted its video on YouTube. In the said video of Project Wing Field Test in Australia, the drone was able to deliver a package of dog treats right at the backyard of the customer. This drone is able to take off vertically and fly horizontally. According to Google’s Astro Teller, the project was inspired by the idea of moving things around the world. Founder of the project, Nicholas Roy, said that they are in Australia to show that the hard work of over the last two years has resulted in a reliable system that can do autonomous delivery. They also wanted to know what it is like to actually deliver something and see what it’s like from the customer’s perspective. It will take years to actually finish the product and this is their first prototype. They want to make it able to fly around each other, have lesser noise and deliver with precision to a very specific spot like a doorstep. This project might be a threat to their rival, Amazon.com who announced the development of their own flying drone just a year ago. Google said that they already communicated with the Federal Aviation Administration about the project to talk about the testing locations. FAA has allowed the limited use of drones in the United States. This innovation made some netizens excited. Imagine ordering online and have it right at your doorstep delivered by a small jet. It used to be unbelievable, now, it will only take some time to be a reality.